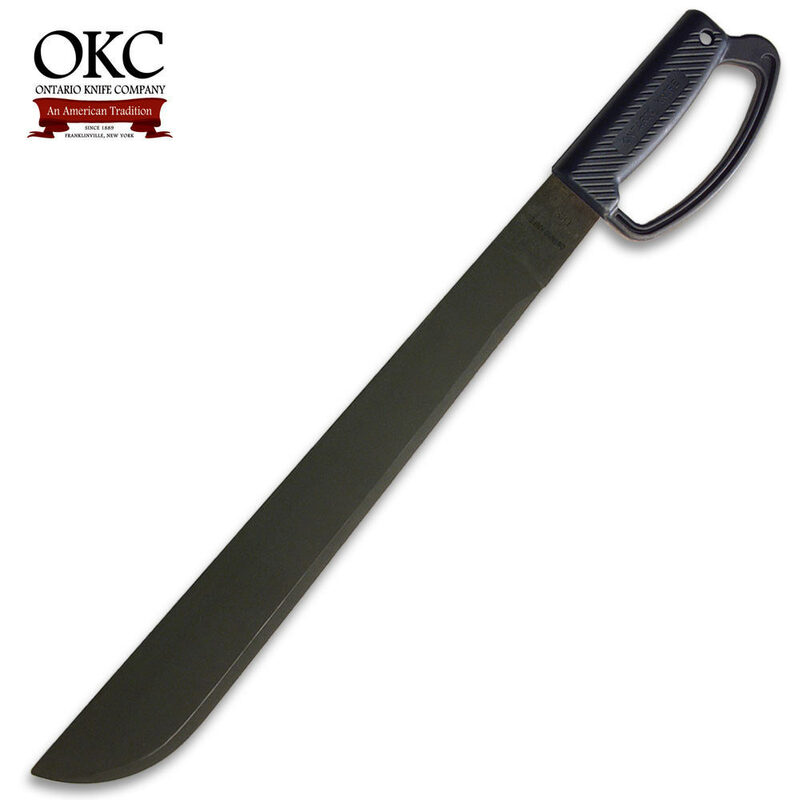 Ontario 18 Inch Black D Handle Field Machete | BUDK.com - Knives & Swords At The Lowest Prices! Very strong blade. Made for heavy duty work. If you want a hard worker, this is it. This Machete is made very well and is would be an excellent buy except that it does not come with a sheath which is very unusual. How are you supposed to carry it when not using it? The blade is nice and sharp so you can't just put it in your pocket or you'll get an instant operation. It needs a sheath or BudK needs to sell one for it.